By the 1960s, it was known as “Bloody Lowndes”—because of the long history of lynchings and other forms of racial terrorism against the poor, majority-black population. Then, they began to fight back, with the assistance of the Student Non-Violent Coordinating Committee, forming the the Lowndes County Freedom Organization, which was the first independent black political party in the county since Reconstruction. But the county remained poor, with a median household income of only $25,876 and a poverty rate of 28.5 percent, with a still-declining population that has been mostly consigned to oblivion. 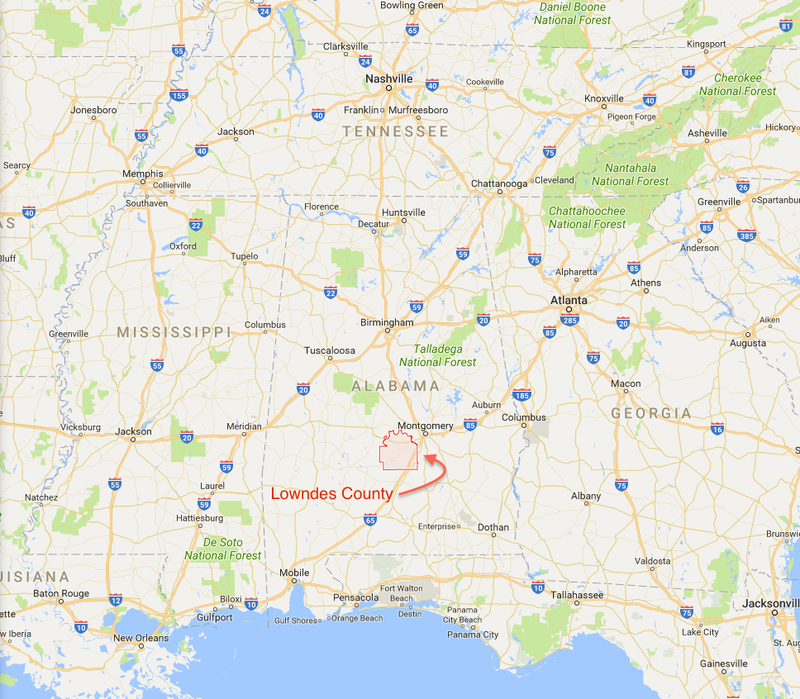 Lowndes has been largely forgotten—until yesterday, when a new study was published concerning the health of the county’s residents. What is remarkable is that the study was published in The American Journal of Tropical Medicine and Hygiene and it documents a high incidence of hookworm, an infection that affects 430 million people worldwide, causing iron deficiency, impaired cognitive development, and stunting in children. This was supposed to be a parasite found only in poor, Third World countries, with poor sanitation and a natural environment suitable for the hookworm life-cycle. It’s a public health problem that I vividly remember from all my years working in and teaching development economics, especially in Latin America. But here we are in the United States—where hookworm had been rampant, especially in the deep south, in the earlier twentieth century. But by the 1980s public health experts assumed the parasite and the attendant public-health problems had disappeared altogether. However, the authors of the study found that more than one third (34.5 percent) of the participants tested positive for Necator americanus, the American species of hookworm. The discovery of these parasitic diseases within the United States begins to shift the idea behind global health. One concept is blue marble health, which reveals that many of the world’s neglected tropical diseases are paradoxically found in some of the wealthiest countries, especially in these small regions of extreme poverty.